Northam and State Attorney General Mark R. Herring—who also wore blackface during the 1980s—largely remained out of sight, as a statewide poll found residents split 47 to 47 percent on whether the governor should resign. Northam’s support, however, rose to 58 percent among Virginia’s black residents. Meanwhile, efforts to recalibrate his agenda around race came into focus, including his going on a statewide “listening tour,” channeling more money to Virginia’s five historically black colleges, and tearing down its Confederate statues. Northam said he “didn’t realize the powerful implications” of being born into white privilege. Virginia Democrats are “reaping the bitter fruit of zero tolerance,” said Jeff Schapiro in The Richmond Times-Dispatch. 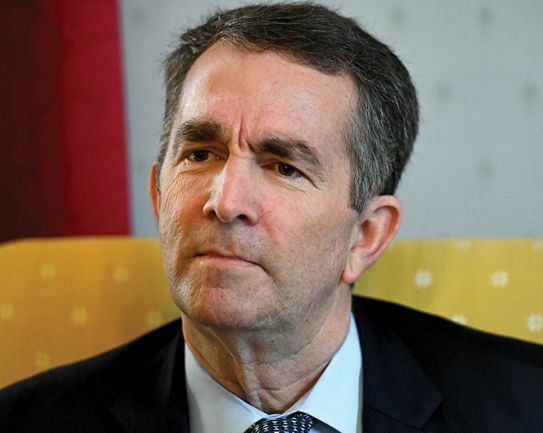 They now face intense pressure to sacrifice Northam—and even Fairfax—to the “lava-belching volcanoes of race and gender.” If they don’t, they risk blunting “their most powerful weapon—hostility in a blue-trending state for a president viewed as a bigoted misogynist.” Unfortunately, this cold calculus of refusing to forgive any transgression increasingly looks like a suicide pact. This episode has revealed the hypocrisy of white people in political leadership, said William Barber II in The Washington Post. Some of the same Republicans who call for Northam’s resignation “continue themselves to vote for the policies of white supremacy.” While Virginia’s politicians contort themselves over Northam’s and Herring’s blackface scandals, a utility company is planning a pipeline through a historically black Richmond neighborhood founded by emancipated slaves. Supporting such “policies that have a disparate impact on communities of color” today is just as racist as what Northam did 35 years ago.